There are great news for the owners of weather stations like the Auriol H13726, Ventus W155, Hama EWS 1500, Meteoscan w155 / w160, Alecto WS-3500 and Balance RF-WS100. The AuriolDuino system was merged into the WeatherDuino Pro2 system. - For all the weather stations mentioned above, all that is needed is a receiver unit based in a WeatherDuino Pro2 RX board. For those that will prefer a fully assembled and tested receiver unit, it is available too. 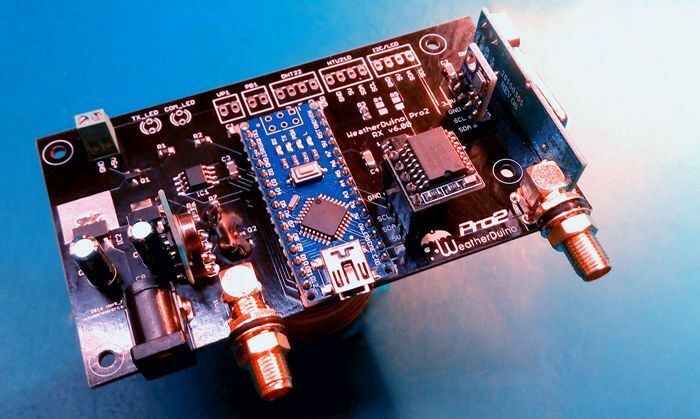 Later if you decide to upgrade your weather station to a full WeatherDuino Pro2 system, which supports a wide range of types and brands of weather instruments, you can continue to use the same receiver unit. Current time: 26-04-2019, 03:27 Powered By MyBB, © 2002-2019 MyBB Group.